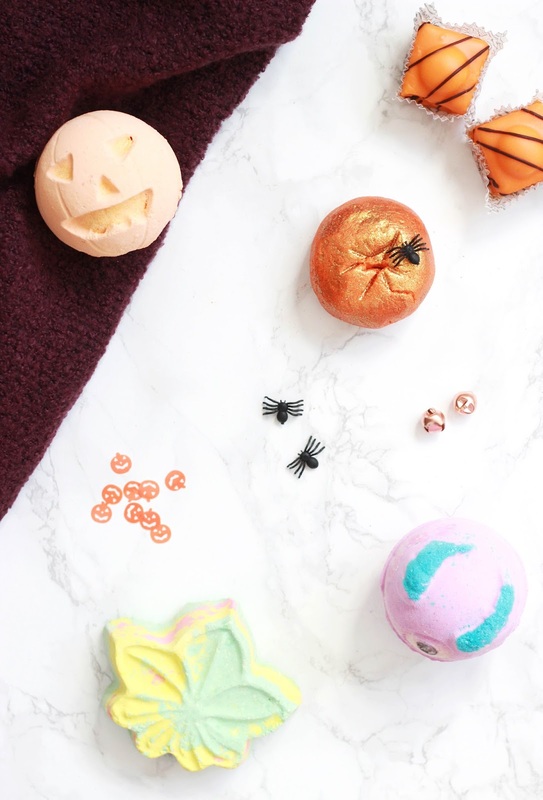 Now that Halloween is fast approaching, I have been prepping with several spooky themed bath bombs and bubble bars to get me into the Halloween spirit. Every time a new collection is released I always make it my mission to get my hands on a few of my favourites, so today I am sharing with you my thoughts on this year's releases. I never usually go for the glitter picks in Lush, but I couldn't help but reach for the Sparkly Pumpkin to help lift my spirits. With Juniperberry, lime and grapefruit oil, this fruity offering delivers piles of dreamy bubbles to sink yourself into. If you're looking for one product to treat yourself to this October then I would recommend you picking up one (or a few) of these to tide you over - I'm already planning to make another order! Autumn Leaf was the bath bomb I had my eye on from the get go and as the name suggests it is perfect for a chilly Autumn evening treat. The scent of fresh grass and crisp leaves compliments the sweeter underlying scent which makes this bath bomb so whimsical. As this isn't a Halloween exclusive bath bomb, I no doubt will be buying this time and time again over the next few weeks. This multicoloured bath bomb wasn't one that I thought I'd enjoy, but with uplifting neroli oil and softening cocoa butter, this is a real treat for the skin. 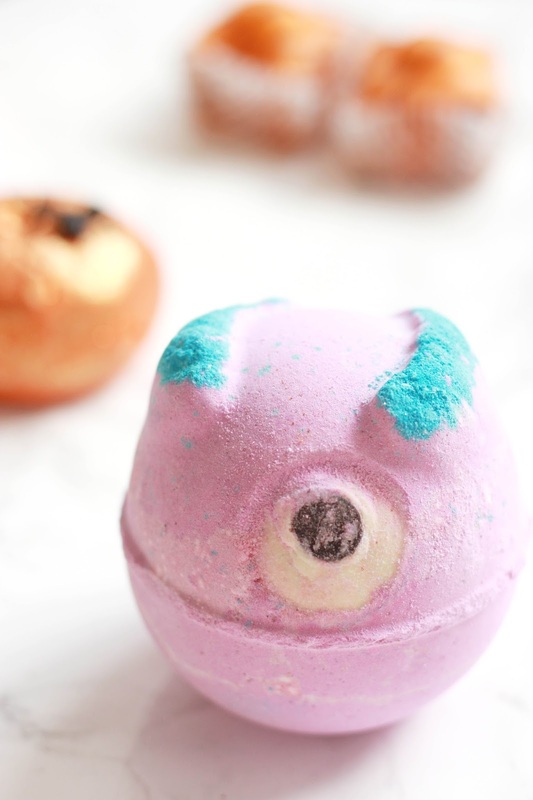 Monster's Ball has a soft, subtle fresh scent that lingers on the skin, and although I wouldn't necessarily associate the fragrance with the spookiest time of year, the cute exterior and the dreamy colours it gives off in the bath definitely makes up for it. Halloween wouldn't be the same without a pumpkin or two, so when a Pumpkin shaped bath bomb is released, how could I not give it a try? With a sweet vanilla and spicy cinnamon combo, this offering has become my go-to whenever I need a long soak in the tub. I definitely will be saving one of these ready for the 31st! Of course the Lush Halloween collection wouldn't be the same without a bright green shower gel in the form of Lord Of Misrule. With a herby, spicy mix that lathers up on the skin to cleanse and scent the skin instantly. I also like to squirt a few drops of this in the bath whenever I need an easy, quick bubble bath fix. Have you tried anything from the Lush Halloween range this year?